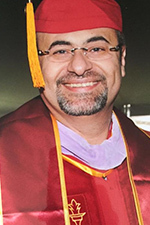 Dr. Ebeed graduated from Cairo University School of Dentistry in 1992. He completed 1 year of residency at Cairo University in 1993, Then 1 year of residency in the Army from 1994 - 1995. He graduated NYUCD in 1999 with a second Dental Degree and completed another year of residency at Sacred Heart Hospital. He bought the Hudson practice in 1999 and 2 years later opened the practice in Londonderry. He continues to increase his knowledge on dentistry through education. In 2007 he obtained his Master of Academy of General Dentistry degree and was Associate Professor of Restorative Dentistry at Tufts University until 2010. Dr. Ebeed is dedicated to providing exceptional services to all his patients and strives to make everyone feel comfortable through his charisma and humor. Dr. Pasquerella joined our practice in 2011. After graduating from Boston University in 1966 and Georgetown University in 1970 with a Degree in Dental Medicine. Dr. Pasquerella was born and raised in Massachusetts and owned his own practice from 1970 to 2007. 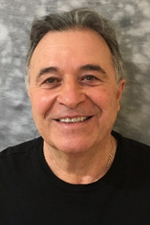 He has an excellent rapport with his patients and enjoys sailing, traveling, cooking Italian food and the patriots! Dr. Elnahass was born in Boston, Massachusetts. He received his first dental degree in Egypt in 2007, followed by one year of residency. In 2013, Dr. Elnahass received his second dental degree from New York University College of Dentistry. 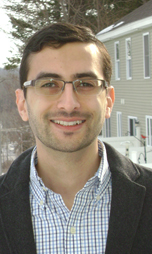 To further his knowledge, Dr. Elnahass attends several continuing education courses annually. He joined our practice in 2014 and likes to offer his patients different treatment options to address their dental concerns, while ensuring that the procedures are pain free. In his free time, Dr. Elnahass likes to explore new places and race indoor go karts.